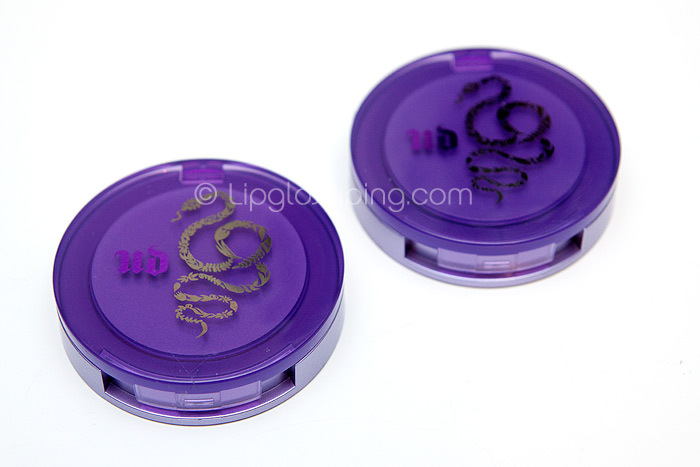 They come packaged in Urban Decay’s signature purple acrylic emblazoned with a silver serpent… for sizing, they’re a hint smaller than a MAC blush… identical to a TopShop cream blush if you have one to compare. Each pot contains 4g of product which is about standard when compared to Illamasqua, TopShop, Stila… but less than the generous 6g that MAC provides with their blushcremes. Quickie is a vibrant, bubblegum pink that leans to the cool side. 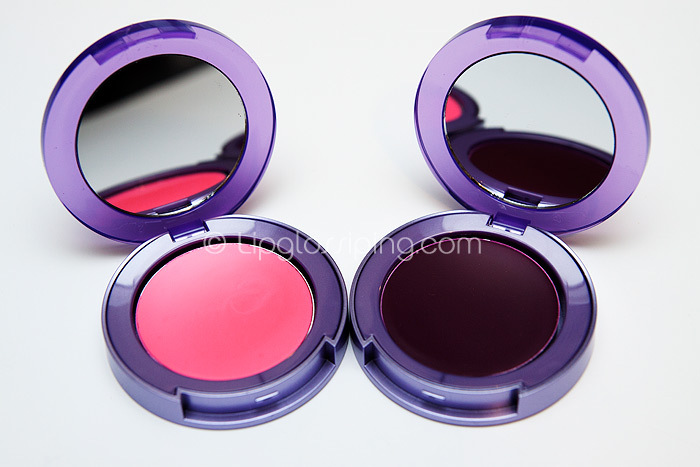 Greedy is a plum/grape shade that is also ideal for cooler skin tones. The first thing I noticed about these cheek tints are the vibrancy. Both look rather intimidating in the pan, particularly Greedy which is an almost blackened grape shade. The texture is interesting, there is a huge amount of slip and neither have that creme-to-powder feeling that you often get with cream blushes. Quickie is shown on the left, Greedy on the right. 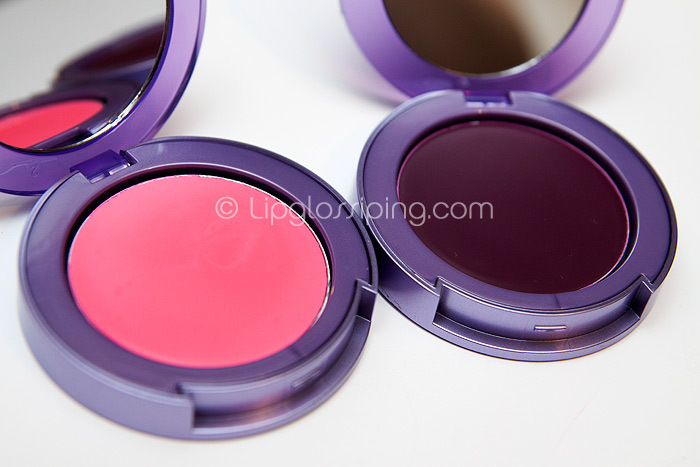 The best way that I can describe these is as having Illamasqua’s slip… but with Tarte’s gel-like consistency. Another comparison would be to NARS Limited Edition multiple sticks they came out with this summer… especially in terms of the sheer, glowy finish these provide. All in all, it’s a winning combination in terms of blending. 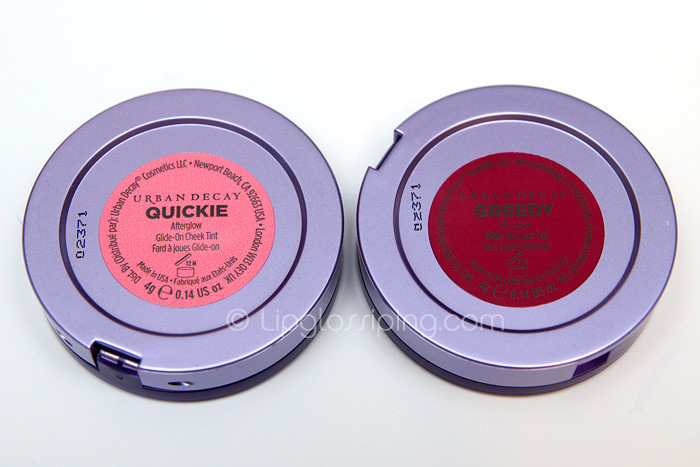 I would happily state that these are the easiest-to-apply cream blushes (sorry, cheek tints) that I’ve used. They move around on the skin beautifully and don’t muddy or fade during blending. The obvious downside to this is that they take a while to ‘set’ and until they have, they will transfer onto clothing etc if you’re not careful. These can also be used on the lips… the texture lends itself to this well. Feeling more like a balm when you apply, I didn’t experience any dragging or particular dryness though it’s still worth making sure that your lips are well exfoliated beforehand. Again though, because of the extra slip… I didn’t find them particularly long-lasting when worn this way. Out of the two shades I was sent, Quickie is punchier and more pigmented.. the above swatch shows two swipes of the shade. 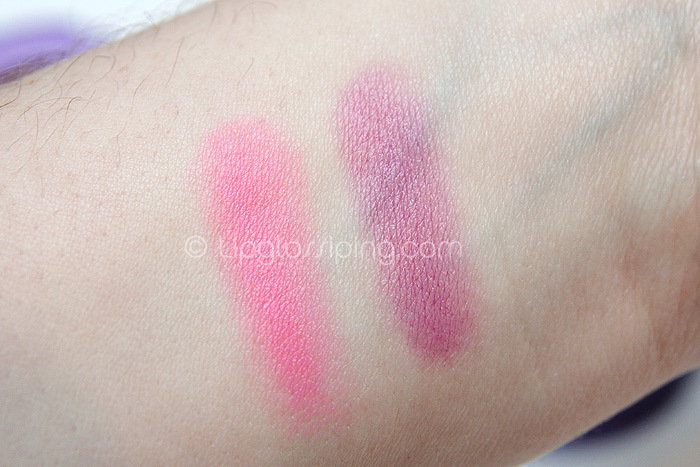 Greedy is sheerer and the above swatch shows a good 4 swipes to achieve that pigmentation. Not really a bad thing to be honest considering how intense the shade is… it would be easy to go overboard were it more pigmented I feel. I thought it might be useful to see Greedy applied… out of the two, it’s my favourite but one that I would have probably overlooked simply because of how it appears in the pan. 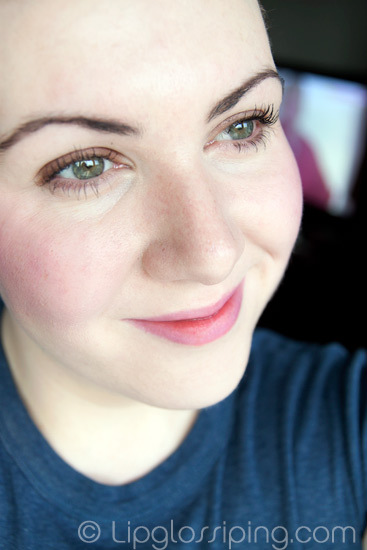 Greedy gives one of those natural winter flushes of colour to my skin and also looks lovely worn on the lips (shown above). I wanted to make sure the colour would show on camera so I’ve applied more heavily than I would normally. I’d also say that these would be particularly suited to those of us with older or drier skin, if you’re quite oily… you may fare better with a cream-to-powder formula for increased longevity. Alternatively, you could always powder over the top of these to ensure a good ‘set’ that will last you throughout the day. The Urban Decay Afterglow Glide-On Cheek Tints will retail in the UK at £18 (€28). Release date TBC.